With 60 plus dive schools on the island there is a lot of choice for people as to where they want to do their scuba diving course, so why choose Mojo Divers diving school instead of one of our competitors? 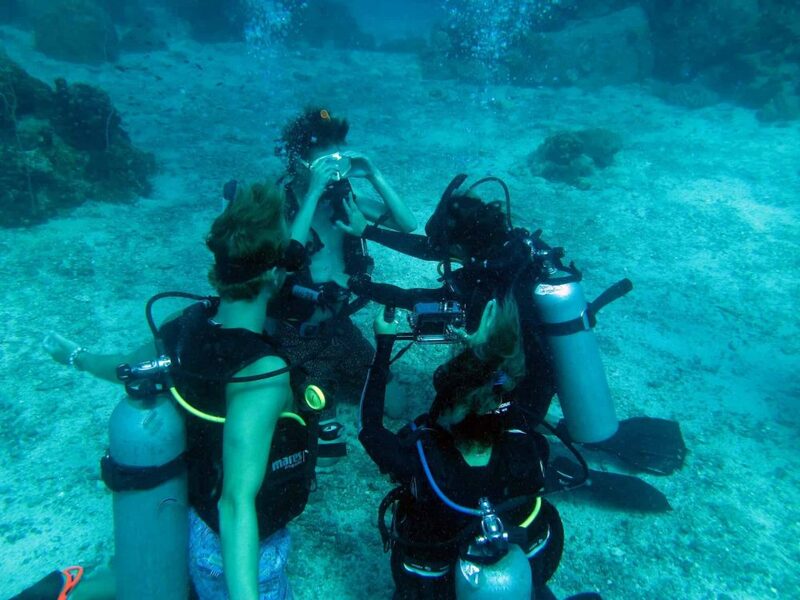 We teach the same courses, have similar equipment, the dive boats are similar so what is different about us? Why have we been in the top 10 of Tripadvisor for 3 years? 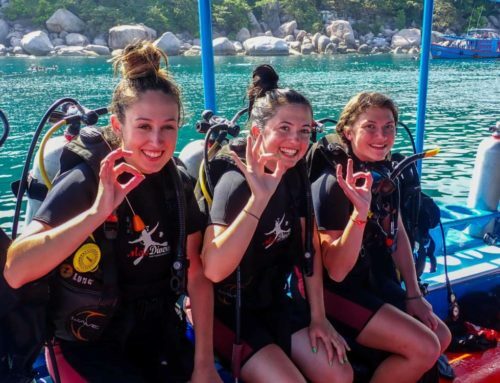 Why have we been No 4 for nearly a year out of all the dive schools? We have a great atmosphere thanks to the diving staff, the shop staff, instructors and boat crew that we have now and in the staff past have all built upon the great atmosphere in the shop and on the boat. We have a small family feel, our groups are small so you get the attention and teaching that you need. But what makes it special is the team and how they work together not just on the boat with customers and each but outside of work as well everyone is always welcome to join us after diving for a beer and a chat. We have beachfront access, just 100m from the shop, no need for taxi rides to the pier and back to get on to the boat like some other dive schools. 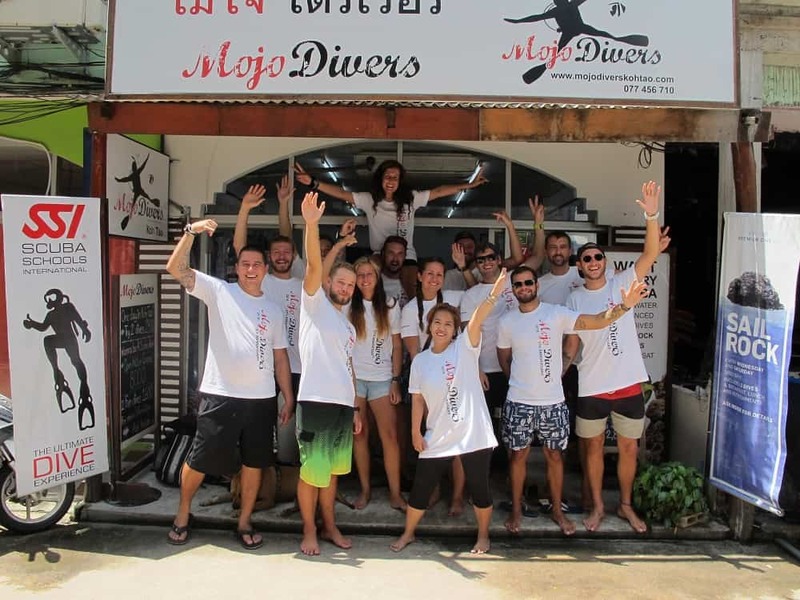 Most of our staff came to Koh Tao on holiday and to learn to scuba dive; they fell in love with diving, Koh Tao and working in the shop, they have an infectious passion that is sure to come across when you go diving. 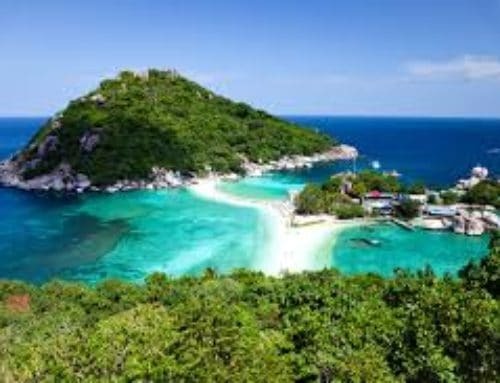 Meet your instructor or Divemaster at the shop, head towards the beach walking passed our kit room to grab your dive gear and walk down to the sea to our taxi boat and away to our dive boat, easy as that. 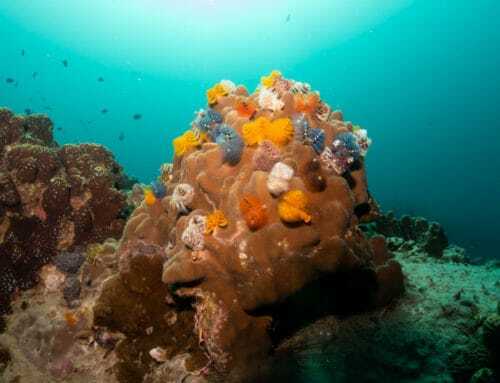 We teach the skills required for scuba diving in the sea, not in a pool so you get to see fish and corals from day one and have a real boat dive experience, isn’t that why you want to dive? 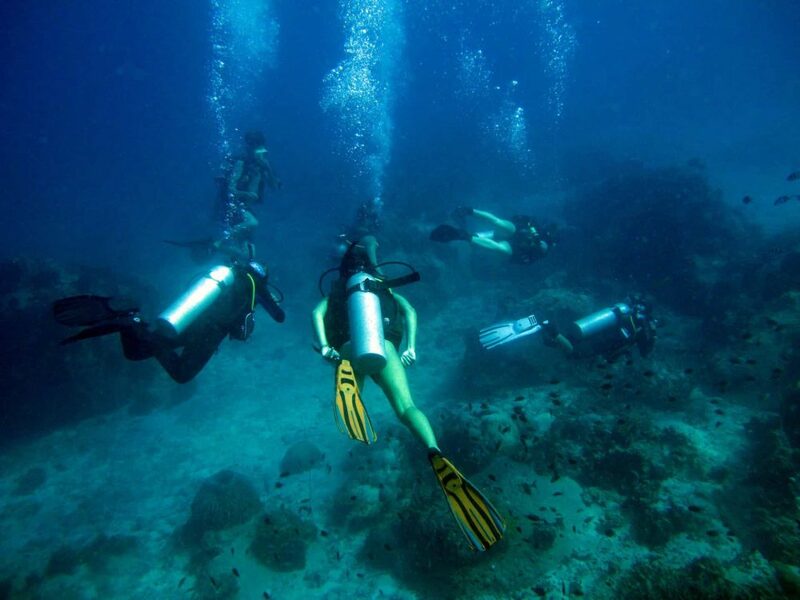 We have the government required tourist insurance plus diving insurance provided by Dive Assure while doing courses if your own insurance doesn’t cover you for diving, so you can have peace of mind when you dive with us. Our boat is a converted fishing boat like the majority of the dive boats here and carries 32 people with a GPS system, fish finder and VHF radio and with a compressor onboard so it means no time is wasted while scuba tanks are loaded and unloaded. Water, tea, coffee and biscuits (very important that) are there so you can help yourself to keep you going in between dives. Don’t want the hassle of haggling with taxis when you get off the pier? Our own taxi to pick you up from the pier when you arrive and bring you to the shop for the registration process. We can take you back to the pier too, but all the travel agents here will give you a free taxi ride to the pier when you book your outbound ferry ticket with them. 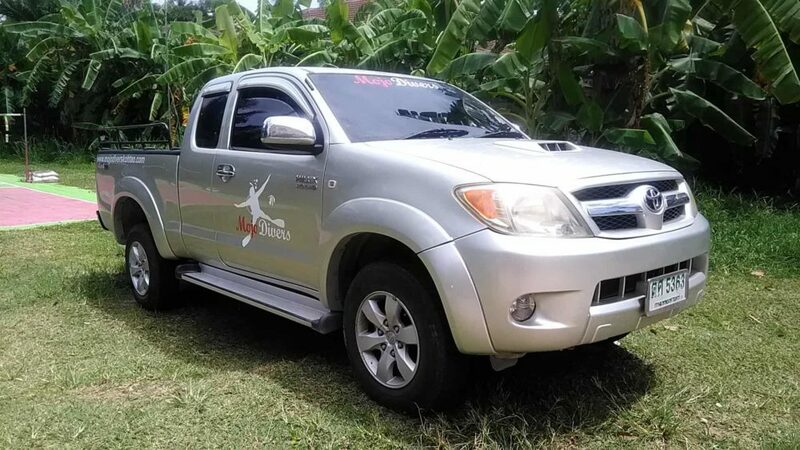 Our standard accommodation with diving courses is 4/5 bed dorms but if you wanted something else we have 6 other types available depending on your budget or requirements, so tell us what you want and we can give you the service that you want. 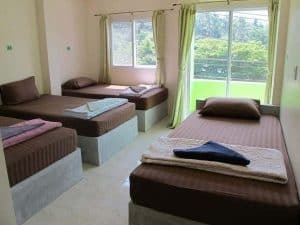 The dorm accommodation is of a high standard when compared to other diving dorms. You have single beds, not bunk beds, a bathroom and shower in the room, so no sharing with 20 others. With only a few beds in each room, there are never lots of people coming in and out at all hours of the night. Why come and find out for yourself and see why we have such a great customer record, we hope to see you soon.